This novel follows two stories, one present day and one set in the 80’s that eventually collide and at the root of it all is a girl named Hannah. These two stories are told in alternating chapters but once it becomes clear how they are connected my jaw dropped! This book is FULL of twists and surprises. Many of the characters are unreliable and dysfunctional so it’s hard to distinguish what might really be going on and who is being honest. 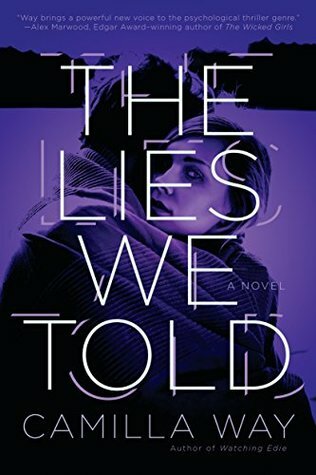 The Lies We Told is chilling and fast paced making for a quick read! 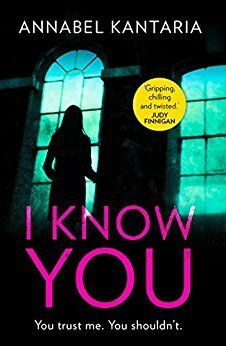 Definitely pick this one up if you’re a lover of thrillers! Wow, this was a really twisted and depraved story. Sixteen year old Angela Wong and Georgina (Geo) Shaw are best friends, attached at the hip, until a man five years their senior comes in between them. Geo and Calvin are inseparable, but it’s a tumultuous relationship. Calvin is abusive and controlling, but Geo can’t let him go, until one night when everything changes and Angela goes missing. For fourteen years, Angela’s family wondered what happened to her, and only two people know the truth, so when it’s brought to light that Calvin is the Sweetbay Strangler and Geo was a witness the night Angela died, Geo is sent to prison for five years. But, is what’s revealed the full story, or is Calvin and Angela still harboring chilling secrets? When more bodies are found murdered and dismembered just like Angela’s, police are convinced the Sweetbay Strangler has struck again after escaping prison, and only one person can help solve this case, and she’s not telling the whole story. This story was definitely sick and twisted, and begs the question, are addictions and behaviors hereditary or learned? There is so many shocking moments in this story you won’t be able to put it down! 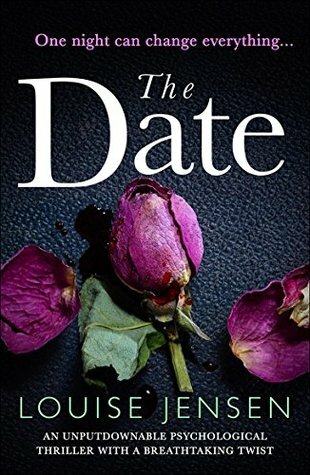 This novel isn’t for the squeamish as it’s pretty dark and graphic, and I found myself at times wanting to stop reading because of that fact, but the story-line was so compelling I made myself keep reading as I just HAD to know the ending! Thank you to St. Martin’s Press, the author, and NetGalley for my copy of this book in exchange for my honest review. Order your copy from //ws-na.amazon-adsystem.com/widgets/q?ServiceVersion=20070822&OneJS=1&Operation=GetAdHtml&MarketPlace=US&source=ac&ref=qf_sp_asin_til&ad_type=product_link&tracking_id=wordswisdomwh-20&marketplace=amazon&region=US&placement=1250154197&asins=1250154197&linkId=d63d317c44d74653182be5f6467fff75&show_border=false&link_opens_in_new_window=false&price_color=333333&title_color=0066C0&bg_color=FFFFFF“>Amazon! Saving Meghan is a medical courtroom thriller chronicling the hunt for diagnosis explaining Meghan’s illnesses. Her mom Becky is completely devoted to finding out what has plagued her daughter for the past few years, but her dad, Carl, doesn’t really believe Meghan is sick. Becky’s mom used her and her sister Sabrina to lie for her, enabling her to receive disability for made up symptoms all throughout their childhood, so it just seems likely that all those years of abuse and trauma are affecting Becky now in adulthood and it’s manifesting illnesses in her daughter. Munchausen syndrome by proxy stories have always intrigued me, and this novel takes readers on a wild ride through the lives of Becky, Carl, and Meghan. Although a psychiatrist and a gastroenterologist strongly believe this is what is wrong with Meghan, another doctor suspects a rare disease he has seen first hand with his own child. What follows is a fight to save Meghan’s life and her health. Told in multiple POV’s, each chapter will have you questioning what you really think it wrong with Meghan. It’s fast paced, full of suspense and family drama, and is so thrilling you won’t be able to put it down! Thank you to NetGalley, St. Martin’s Press, and the author for my advance copy of this book. 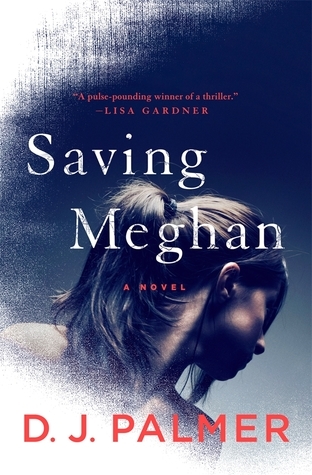 Saving Meghan will release April 9th! At its essence, this book is about an abandoned girl who must figure out life by herself. But it’s so much more than that. Part mystery, part coming-of-age, and wholly engrossing, you will not be able to put this one down. When Kya is young, her mom walks out of the house and never looks back. Shortly after, all her siblings leave, and she’s left to fend for herself and deal with an abusive father. She doesn’t know how to read, count, or cook, and has to figure it all out alone, until a nearby boy named Tate starts helping her read. Along with Tate, Jumpin’, who works at the local store, and his wife Mabel, show Kya she is valued and loved even through all of the abandonment and discrimination she’s endured. I could not stop cheering for Kya. She is the epitome of feminine strength and determination, and the definition of “picking yourself up by your bootstraps!” Living alone in the marsh, isolation and abandonment shaped Kya into someone very different than the girls in town, but she is clever and intuitive, taking cues from the wildlife and Mother Nature in order to survive. The imagery of all the marsh life was so descriptive. I learned a lot about birds and marsh beings from this book, but in a way that didn’t just read like a text book. I also really liked the use of local dialect throughout the story. The chapters span back and forth from Kya’s childhood in the 1950’s to 1969 when the town’s favorite boy Chase Andrews is found possibly murdered and the Marsh Girl Kya is a prime suspect. This is a book that sticks with you long after you turn the last page. It’s one of my favorites I’ve read so far this year, if not of all time. It’s beautiful, heartbreaking, and captivating. I recommend everyone read it. This novel has a creative premise. I mean, it’s like Clue or Groundhog Day in book form! Evelyn Hardcastle will be murdered at 11 pm and Aiden must reveal the killer to escape Blackheath. The only problem is, Aiden wakes up in a different body every day for eight days, leaving his memory in fragments, making it hard to piece together what he knows and what else he needs to discover. 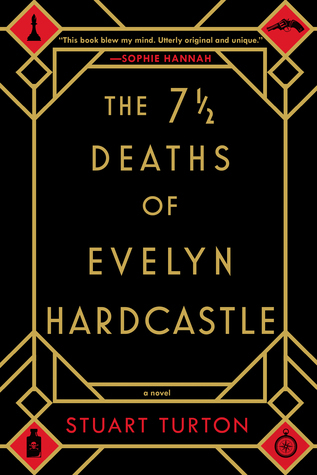 The first day of the eight days Aiden is given to solve Evelyn’s murder was interesting. After that, I became bored and extremely confused. There were SO many characters and different subplots happening it was very hard to stay focused. I felt the whole book was disjointed and so many things didn’t seem to make sense. I especially thought Daniel was a confusing character that didn’t quite seem to be explained, as well as why Aiden could remember some events that took place, whether it be ones to come in another body, or those he’s already lived out in the past through another host. It was long and slow moving so unfortunately this book ended up not being for me and I can’t recommend. That picture you just posted on Instagram? I’ve seen it. The location you tagged? I’ve been there. Because I know all about you. But when I meet you, I won’t tell you that. I’ll pretend. Just like you do. You’ll like me though. You’ll trust me enough to let me into your life. Wow! As someone who is very active on social media, especially Instagram, this was exceptionally creepy! Taylor, a California native, has moved with her husband back to his hometown of Croydon, England, and is struggling to make friends. She has always lived her life through social media-constantly uploading little snippets of her life, be it where she goes for her honeymoon, for dinner, even her new baby’s crib and clothes. Sounds like most of us, right? When she joins a walking group in her neighborhood, she’s so lonely, homesick, and desperate for interaction she tries to get one of the girls, Anna, to like her, instantly. Slowly, Anna warms up to her, but Simon, also seemingly desperate for friendship, is constantly around Taylor and he gives Anna the creeps. Slowly, Anna and Taylor become best friends, as they have a lot in common-they’re both pregnant, their husbands both work out of town frequently, they both used to be airline cabin crew, and they’re both lonely and looking for friendship. Anna also shares a lot of her life online, especially Instagram, and Taylor is delighted when some of the hashtags Anna posts are about #newfriends! She clings to this, and it really hurts when Anna reschedules their plans, which is frequently. Aside from the walking group, Taylor also joins a book club where she meets Caroline and Sarah. There are a lot of characters to keep up with but they are all well developed and it’s hard to pinpoint if one of them is the sadistic stalker that readers come across in some alternating chapters. 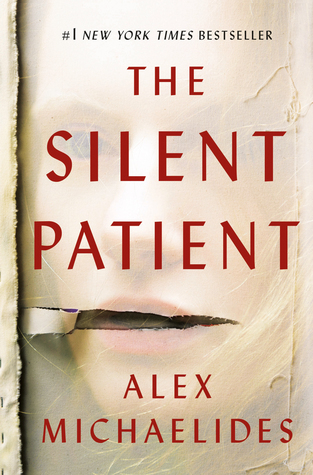 If you’ve followed my blog for awhile now, it’s no secret I love to read thrillers! This one was especially relatable due to the contemporary time period where everyone puts everything online. I had an inkling of who the stalker would end up being but the final reveal was definitely not what I imagined! Make sure to pick this one up if you’re in the mood for a great twisty thriller! I received a complimentary copy of this book from NetGalley and Crooked Lane Books in exchange for my review. All opinions are my own and this has not influenced my review. I’ve become a huge fan of B.A. Paris in the past few months and I think this is my favorite of hers! 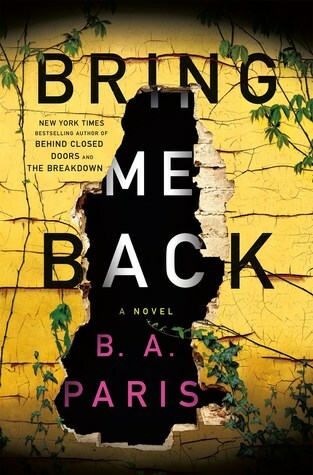 Twelve years after the love of his life Layla disappears, Finn has moved on. He’s dating Ellen, who Layla’s sister, actually- and is very successful in his job, but not a day passes that he doesn’t wonder about Layla. Layla and Ellen are complete opposites- Layla is wild and outgoing, Ellen is more placid and reserved. Finn loves them both, but who does his heart belong to more? When objects start turning up and emails begin pouring in, he has to face the truth that maybe Layla has come back. But why would Layla wait so long to reach out if she was alive all this time? Could it be so simple that she’s ready to come back to Finn, or is something more sinister at play here? The ending was WILD and all of the clues that stacked up to the penultimate moment were shocking! It’s clever, creepy, and gripping to the point I could NOT put it down! Another one I highly recommend if you love thrillers. 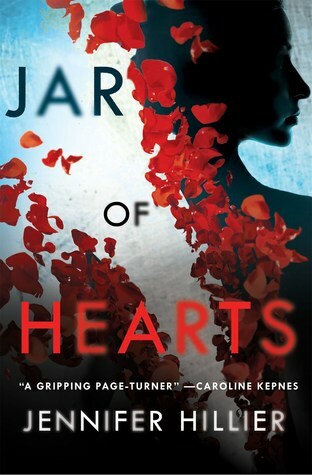 This debut novel from Sandie Jones was crazy! Emily is dating Adam and everything is great except for her relationship with his mother, Pammie. She is constantly throwing barbed comments around at Emily, and is ridiculously obsessive over Adam. Her husband is dead so all she has are her sons, and some times they seem a little too close for comfort. When Emily and Adam get engaged, things go from bad to worse. 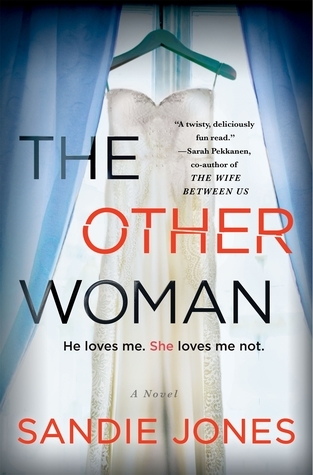 The Other Woman will have you questioning everyone’s motives and sanity. Adam can’t see how Pammie is trying to manipulate Emily and tear her and Adam apart. Emily begins to really wonder if she is the problem, as Pammie seems so sweet in everyone else’s eyes. The ending was insane and definitely shocked me! This was a fast paced, mess with your mind thriller that I definitely recommend, and I can’t wait to read more from this author!